Indulge in this luxe Bentler console table and bring old-Hollywood glamour to your home. Striking mirrors enhance the champagne gold table that incorporates classical, carved spindle legs and trimming elements. One fabric-lined drawer provides elegant storage behind a mirrored front and crystal style embellishment. 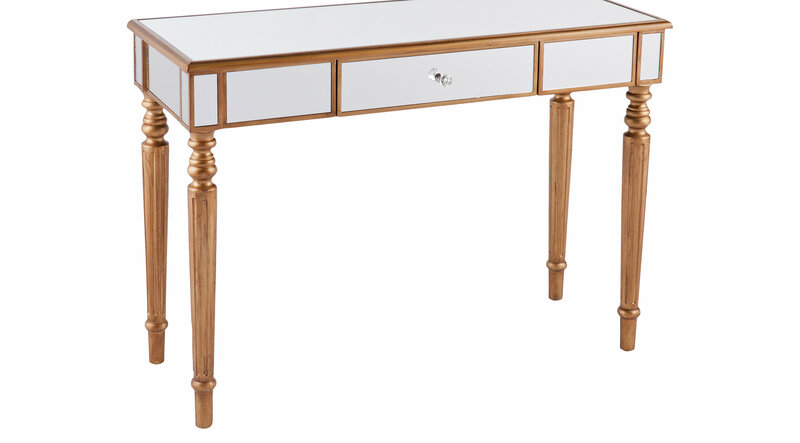 In the living room or entryway, this console table is a vision of regal glamour. Customer assembly required.